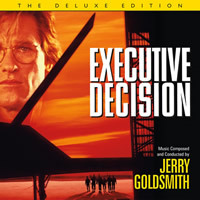 Nobody was better at scoring action movies than Jerry Goldsmith and now another of his classics, this one from 1996, receives the Deluxe Edition treatment. EXECUTIVE DECISION: The Deluxe Edition is now available for ordering. Kurt Russell, Steven Seagal, Halle Berry, John Leguizamo and others in a heroic ensemble are on board for first class thrills. The mission: board a hijacked 747 in mid-air. Avoid detection. Locate and disable a hair-triggered nerve-toxin bomb that could wipe out the U.S. Eastern Seaboard. Execute a split-second attack that overwhelms the terrorists and safeguards the passengers. Do it all without air-to-ground radio. And do it before an increasingly jittery U.S. military blasts the airliner out of the sky. “I hope there’s a good movie on this flight,” an anti-terrorist operative quips. 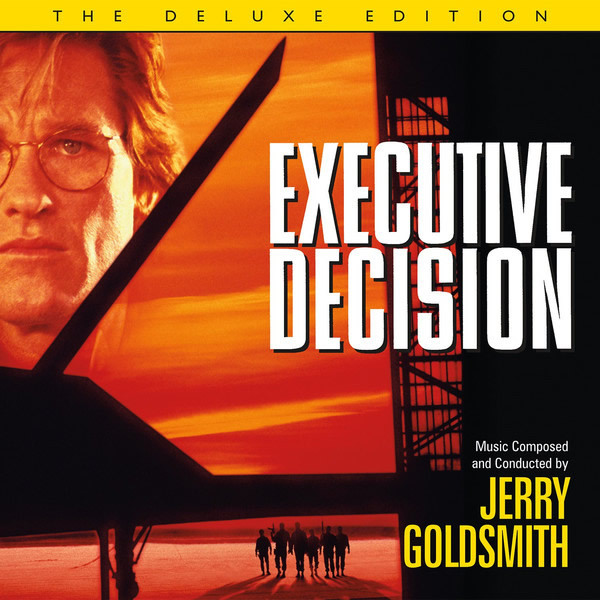 As it turns out, there’s a great one: Executive Decision!